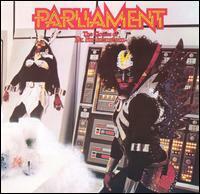 The Clones of Dr. Funkenstein is an album by funk band Parliament, released in the summer of 1976. The album is notable for featuring horn arrangements by ex-James Brown band member, Fred Wesley. The album charted at #20 on the Billboard pop chart and became Parliament's second album to be certified gold. Two singles were released off the album, "Do That Stuff", which charted at #22, and "Dr. Funkenstein" which charted at #43.